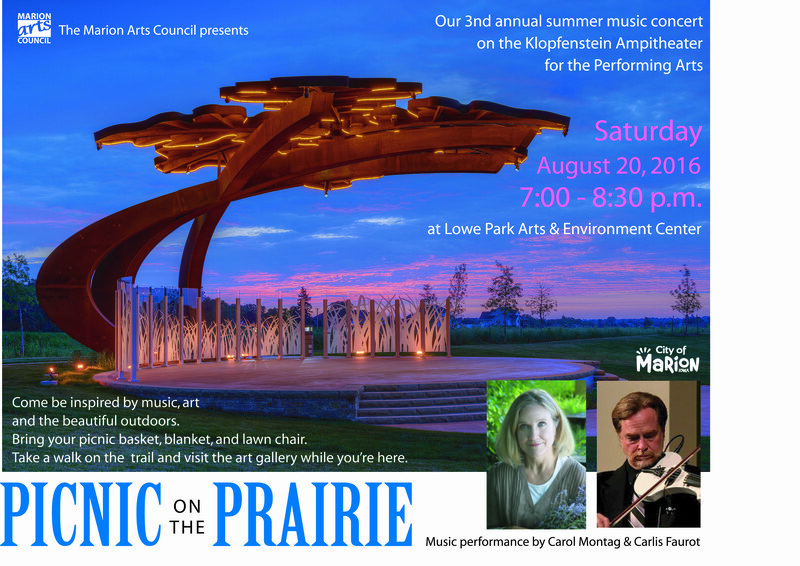 Hope you can join Carlis Faurot and me for the 2016 Picnic on the Prairie Concert on Saturday, August 20th at 7:00pm at the Klopfenstein Amphitheater for the Performing Arts, Lowe Park, 4500 North 10th Street, Marion, IA. 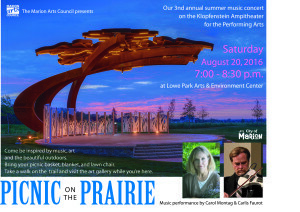 Admission is free and you are welcome to bring your picnic basket and cooler filled with goodies! See you there!